In a remarkable reversal, This American Life has now announced that it is retracting its January broadcast of Daisey’s content, citing a number of fabrications discovered in a follow-up investigation on his claims. Paging shocked eTrade baby! Please report to graphics stat! Mike Daisy's Apple claims found to contain fabrications? 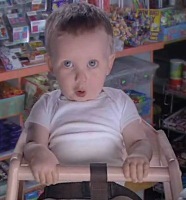 This is my shocked-but-not-really face. For his part, Daisey acknowledges that some of the information he presented was not entirely truthful, arguing that his monologue was created for theater. Consequently, he agrees that it should not have been presented as journalism, although he stands behind the intent of his work. And for my part, and on behalf of the Apple community you’ve been gaming to make money off of Steve Jobs’s memory and the company he built, I stand behind my claims that you’re a liar and a fraud and respectfully request that you crawl back under the rock housing the rest of Apple’s baseless detractors. God, this is almost as good as a new iPad. I am sorry that news have to take time to prove that presented facts are false or truth but I`m glad that they do that from time to time. Greetings from Serbia.